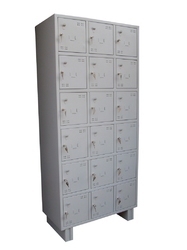 we are one of the Known dealer of all type of Godrej Safes and Locks in chennai . 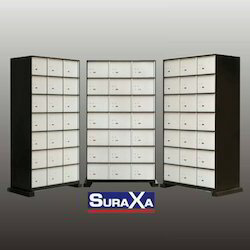 We specialize in manufacturing quality Safe Deposit Locker Cabinet, which meets the variegated requirements of our clientèle. These are manufactured employing quality steel plates as the raw material. - Methodex’s SDLCs are designed to provide maximum security to the lessee. - Welded screws provided for extra strength of lock mounting. - Door spacer plate provided for better resistance against impact load. - Box shape stiffener for extra strength against burglary attack. - 8 levers dual control locks with Stainless Steel key.